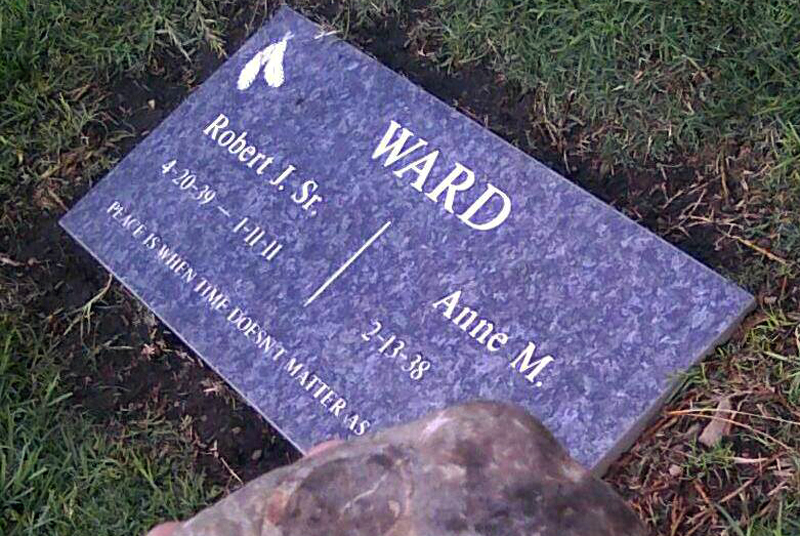 Robert Joseph "Bobby" Ward Sr. (April 20, 1939 - Jan. 11, 2011) was the son of John Ward and Caroline Garcia and was raised by Caroline's mother, Chief Mary Cooke. Both of Bobby's parents trace their lineage to a common ancestor, Leandra Culeta (b. 1840), whose paternal grandparents (and their ancestors) lived in the Tataviam Indian village of Chaguayabit (aka Tsawayung) at Castaic Junction. As such, both sides of Bobby's family stem from individuals who lived in the Santa Clarita Valley prior to European contact in 1769. Bobby Ward Sr. is buried at Glen Haven Memorial Park in Sylmar, next to his son, Robert Jr.
WD1101: 19200 dpi jpeg from smaller jpeg courtesy of Caroline Ward Holland (daughter of Robert Joseph Ward Sr.) | Online image only. L.A. Times: Death of Bobby Ward Jr.